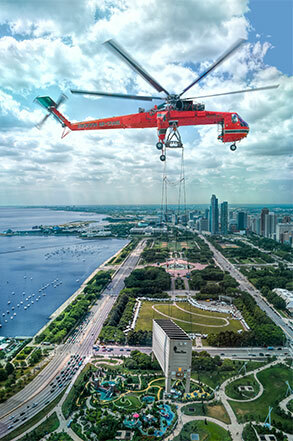 Using Erickson’s precision capabilities and the lift capacity of the Aircrane helicopter, aerial crane operators placed chiller equipment on the roof of a downtown Chicago building, cutting the Hill Group’s installation time to hours compared with weeks needed for other methods. Erickson’s signature Aircrane is a giant in the world of helicopters, with a rated lift capacity of up to 25,000 lb. It features a unique glass-enclosed aft-facing pilot station that allows the crew member to precisely lift and place large, oversized, or heavy objects. The heaviest section for this move weighed 19,000 lb. By taking advantage of the Aircrane’s lift capacity, The Hill Group saved time because fewer pieces had to be assembled on the roof. Five aerial lifts were completed in 1.3 hours of flight time, saving The Hill Group several weeks of time compared with other move methods. The Hill Group had previously worked with Erickson on other projects, and they knew airlifting was the only option for completing this project in a safe, efficient, and cost-effective manner. 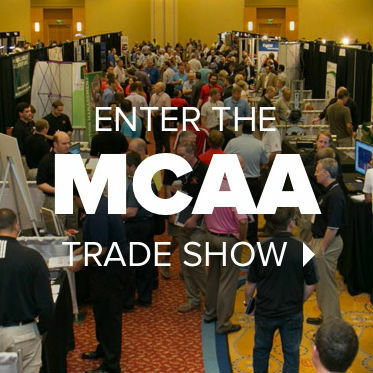 For more information, visit ericksoninc.com.